The grilles are foam and have a unique design where there is a raised rim on the back that fits into a groove between the speaker cabinet and the front baffle. The grilles are on their last legs and the folks at foamspeakergrilles.com cannot make an exact duplicate, so the new grilles will not have the rim and will instead be held in place with Velcro. The mysterious inductor values are still a mystery. I've measured the inductors from one of the new pair so far and L2, L3, L4 and L5 are somewhat different from the values in the schematic that John O'Hanlon drew, based on Paolo's schematic and my measurements. I "suspect" they may have all been the same originally. So far measurements range from about 1.6mH to 2.5mH with DCR about 7.5 to 8.5 ohms. Surprisingly, the red and black PVC capacitors--notorious for leakage--were all spot on! But I replaced them with new film caps. I'll have more information and of course pictures as the project progresses. I'm using Madisound Surplus caps again: Thirteen 10uF caps per speaker, plus three Carli 4.7uF caps. The cost to rebuild both crossovers was about $20! That's 26) 10uF @ 0.50 ea, 6) 4.7uF @ $1.35 ea and four 5 ohm resistors @ 0.42 ea. Can't beat that! I decided not to refoam the woofers myself but instead sent them to Bill LeGall. He does such a nice job! 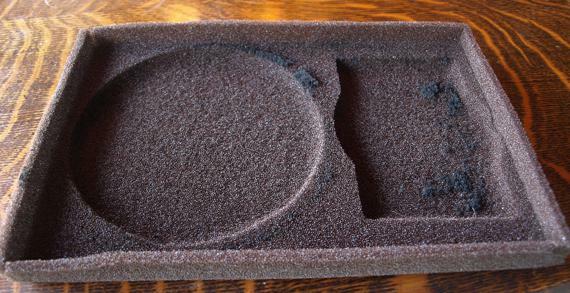 The foam diffraction rings will be replaced with felt rings from Madisound. If this snow ever stops I'll be able to go outside to sand down the Koa wood cabinets. Interesting note: Friends have commented on how great the first pair of KA-1's sound. They replaced my AR-4x's in the home theater setup. I really love these speakers! One might argue that the crossover design is weird and overly-complex. But they do sound great so apparently Roy knew what he was doing. The crossover was rebuilt as described above and just like the ones in the first pair. The 2.5 ohm resistor was 5 watts so I replaced it with two 5 ohm 5w in parallel. Also below is a list of the inductor values, according to my readings. Unfortunately I don't have the DCR for all the coils in the first pair but they are generally quite high. The windings are hair-thin and modern inductors, even the 20ga, are much lower resistance. Not really sure what to make of the variations in L readings between samples. L1 is "about" 1.7mH in all 4 speakers. L2 and L4 were both ~2.0mH in the first pair but ~1.75mH in the second. Could they have made a change between SN 107 and 213? L3 shows the most variation, from 1.40mH to 1.68 but the 1.40 was obviously over-heated and possibly out of spec (see Post #3 here: http://www.classicspeakerpages.net/IP.Board/index.php?showtopic=7521#entry96948 ). The other 3 samples range between 1.58 and 1.68. 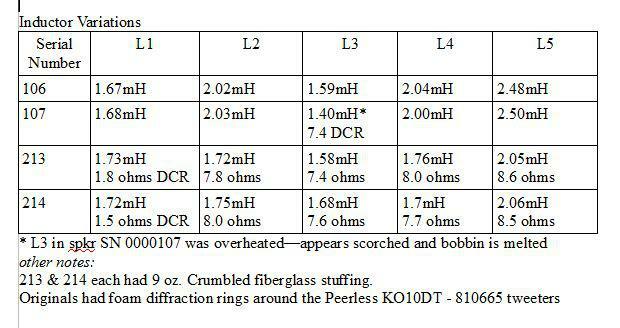 Modern inductors have a tolerance of +/- 1 to 5% so if these "should" be 1.60mH these variations seem within spec, except for the burned one. L5 is ~2.5 in the first pair and ~2.0 in the second pair. Don't know if this was a change but that's a 20-25% difference (depending on how you look at it).. The foam grills on the Model 1's are cut out like that except it is more the shape of a giant tear drop. I had Bill re-foam my woofers in the model 1's. 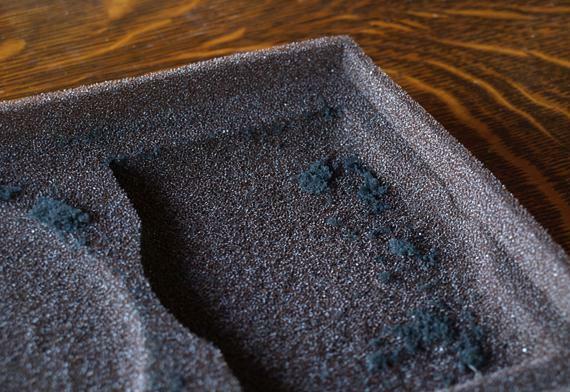 He installed a better surround than the original foam and did a few other tricks to them. They really sound great now. Thanks for turning him onto me. Your project is looking nice! Good luck on your project. Thanks for the info and the kind words Jesse. My woofers arrived yesterday. I like Bill LeGall's work so much all I did was measure the DCR (about 1.7 ohms for each) and send them to him saying he had carte blanche to do whatever was needed. Turns out that, unlike my first pair, all these needed was foam. The crossovers are finished and the woofers are here, so I turned to the cabinets. Sanded them with an orbital sander: Starting with #80 grit, then progressing through 100, 120, 220, 320 and finally #600. 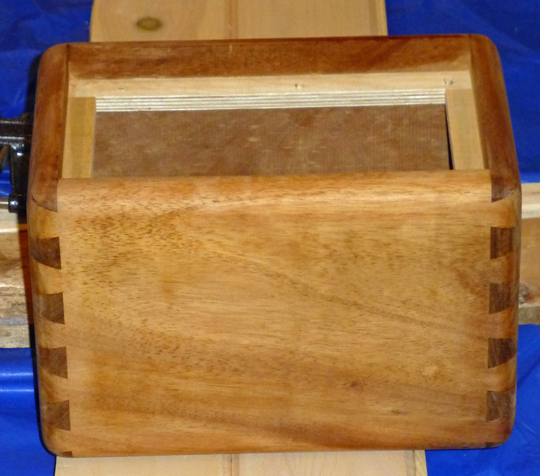 Photos show after sanding, then wiped down with lacquer thinner, then just one coat of Minwax Antique Oil. They're really coming alive! There will be several more coats of Minwax. As noted above, these had 9 oz. of fiberglass in each. After a lot of trial-and-error I think I put only half that amount in the other pair. Seems 9 oz will be over-damped but when these are finished I'll experiment some more. One speaker gave me wildly out-of-whack readings so I'm going back to the circuit board to see where the goof is in the crossover. Are you re-using the original fiberglass stuffing? My Cizek's (Model 1 and sub) are stuffed to the max with fiberglass from the factory. I am guessing your speakers were as well. I would be interested to see how much stuffing your testing shows is needed. Great job on your project. Mine came tightly packed with 9 or 10 oz of crumbly yellow fiberglass. I replaced it with Johns Manville batts because it was easier to handle (and it's formaldehyde-free).